Back in 2009 there was a huge spike in concern over how Google handled nofollowed links where the PageRank would be diluted anyway when used. Matt Cutts explained then that if you had 5 links and 1 of the 5 were nofollowed, still the PageRank would be divided up as 5 and not 4. I spotted a recent Google Webmaster Help thread where Googler John Mueller said the nofollow attribute can be used for crawl prioritization purposes. John said it can be used "to some extent, for crawl prioritization." Now, the words "to some extent" is where John is referencing the PageRank flow issue noted in 2009. 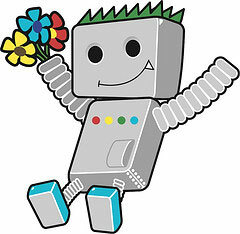 But yes, you would be able to use the nofollow for helping GoogleBot crawl your site more efficiently. Honestly, I doubt Google or John would recommend this in most cases, as opposed to deploying a more efficient navigation scheme - but here is Google and John saying it can be used for this purpose as well. Crawl prioritization is basically a way to help GoogleBot crawl your site in the most efficient manner. This helps with GoogleBot discovering new or updated content, plus PageRank and link juice distribution. Typically for larger sites this is a key area of SEO focus.